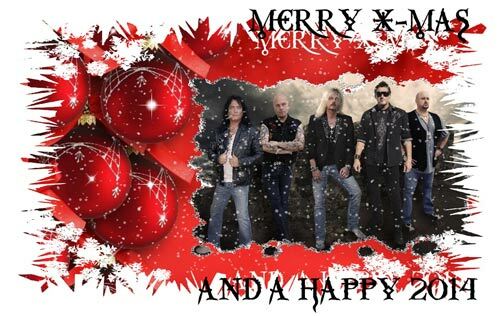 We wish you a Merry X-Mas and a Happy 2014! Only a few weeks left and the new CD “Into The Storm” will be out, pre-order your copy now! 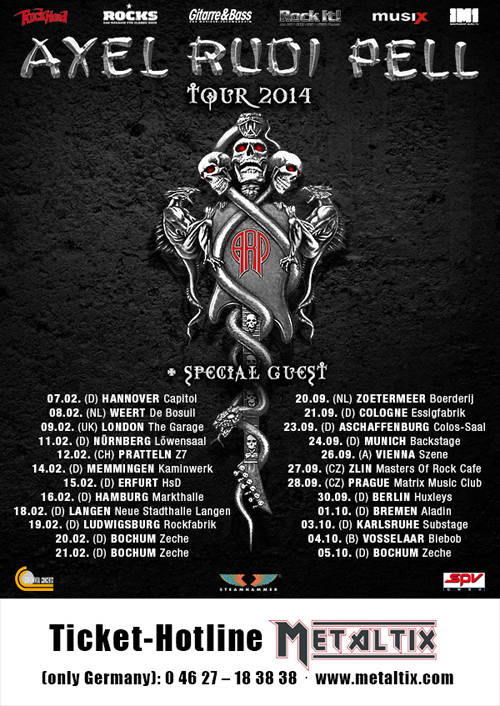 The first leg of our Tour will start very soon too, so get your tickets fast before it´ll be too late! “Into The Storm” – cover and tracklisting revealed! 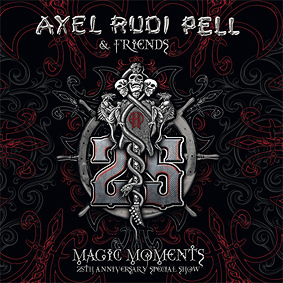 Singer Johnny Gioeli, new drummer Bobby Rondinelli , keyboard player Ferdy Doernberg , bass player Volker Krawczak and guitarist Axel Rudi Pell finished the recordings of the new studioalbum “Into The Storm” with engineer and co-producer Charlie Bauerfeind. Configurations: limited edition digipak incl. 2 bonustracks + poster, double gatefold LP with coloured vinyl, standard version and download.=> Watch Out for the deluxe edition incl. 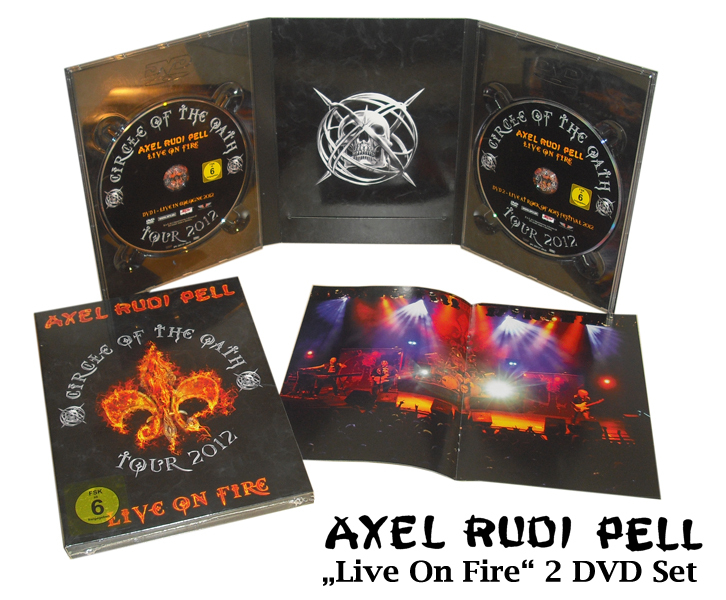 digipak edition, plec, metalpin, poster, postcard, sticker and much more! 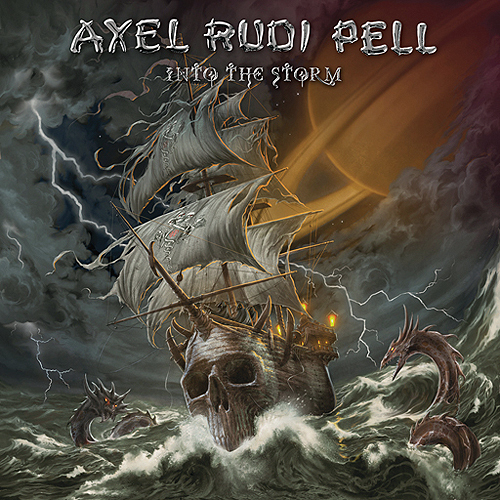 “Into The Storm” will be released through SPV/Steamhammer in 2014 on January 17th in Germany, January 20th in Europe and on January 21st in the USA/Canada, followed by the first european leg of the tour. NEW ALBUM “INTO THE STORM” DRUM RECORDINGS FINISHED! 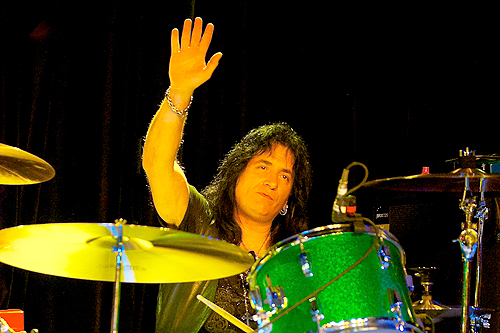 Bobby Rondinelli, our new man behind the drums, did an awesome job and we´re sure you´ll like it a lot ! We will continue with the recordings on Sunday. “INTO THE STORM” will be released on January 17th 2014 by SPV. Here are the dates for the first and second leg of the 2014 headlining tour. 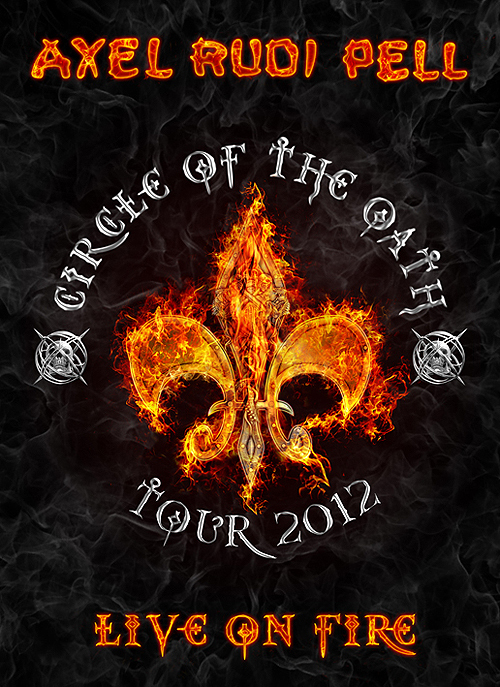 More dates/festival appearances will be announced soon, stay tuned! 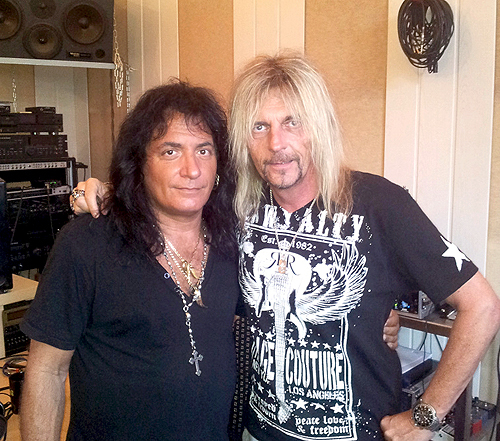 We´re proud to announce that BOBBY RONDINELLI is the new drummer for ARP! Bobby is well known for his work with Rainbow, Black Sabbath, Blue Oyster Cult, to name just a few. We´re pretty sure that you´ll like his playing, so please give him a warm welcome ! We will start with the recording of the new record on July 22nd. Stay tuned for more News during the next weeks ! MIKE TERRANA IS NO LONGER PLAYING WITH US! MIKE TERRANA spielt nicht mehr bei uns! 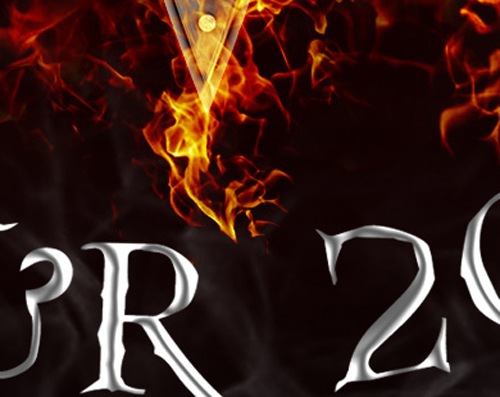 LIVE ON FIRE” – Teaser and photos revealed! 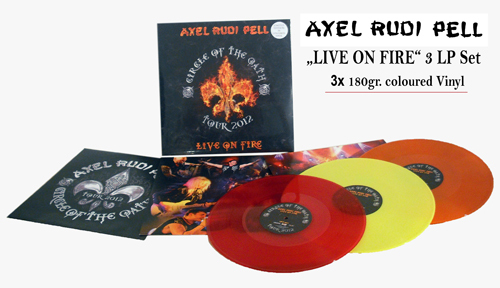 LIVE ON FIRE – Double DVD / Double Live- CD / Triple Vinyl Releases coming in March ! What is this? Well…guess what! News about WHAT it is and more Information coming in January, so stay tuned!! !